Dvořák: Symphony No.9 "New World" - Tchaikovsky: Overture "Romeo and Juliet"
"... Kreizberg continues to impress ... the Netherlands Philharmonic plays beautifully for him ... sound is quite superior ... string tone is rich, woodwinds are well-balanced, brass has burnished beauty ..."
Symphony No.9 in E Minor Op.95 "New World"
"... Kreizberg conducts really fine performances of these two repertoire favourites ... this Romeo and Juliet is most memorable for Kreizberg’s supremely natural, intelligent phrasing ... this live recording sounds gorgeous ... make no mistake, even without the audiophile credentials the quality of the music making speaks for itself." "... the performances here are rock-solid ... the addition of the Romeo and Juliet Overture makes for a nice programme. Repeated listenings, however, gave me much more of an appreciation for the pace at which Yakov Kreizberg takes his forces through the symphony ... the playing is nothing short of stunning, with a sweet string tone throughout and massive bursts of brass and percussion where appropriate. 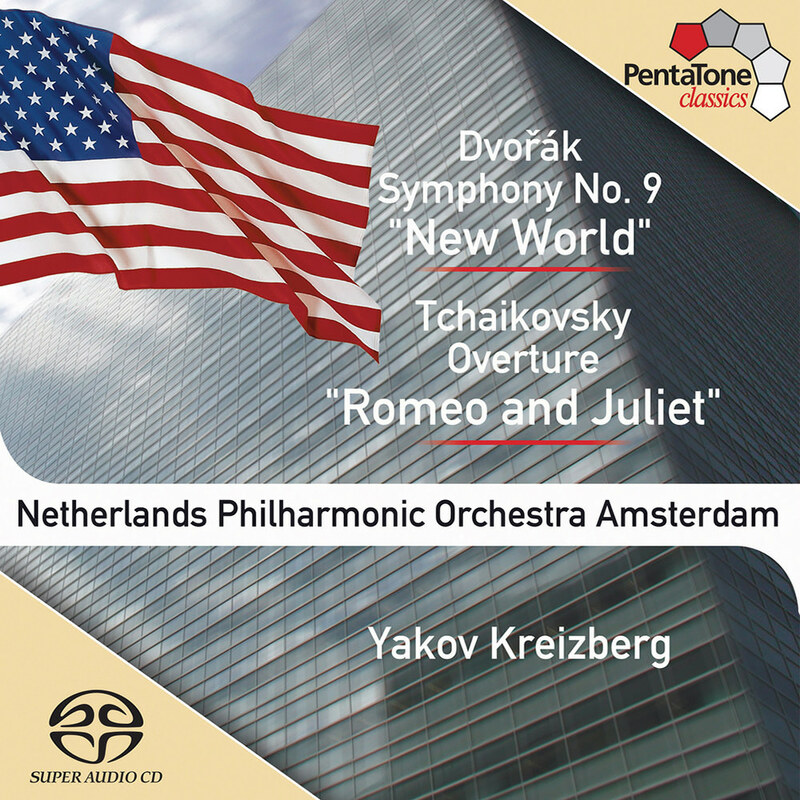 The Romeo and Juliet is played with bravura and not too syrupy ..."
Yakov Kreizberg leads the Netherlands Philharmonic Orchestra on this exciting live recording of Dvořák's classic Symphony No. 9 "New World" paired with another eternal favourite, Tchaikovsky's Romeo and Juliet Overture. Both of these energetic performances were recorded in Amsterdam's Concertgebouw in 2003 in what has been praised by critics as stunning audiophile sound quality. Microphones: DPA 4006 with Polyhymnia microphone buffer electronics. Microphone pre-amps: custum built by Polyhymnia International BV and outputs directly connected to Meitner AD convertor.